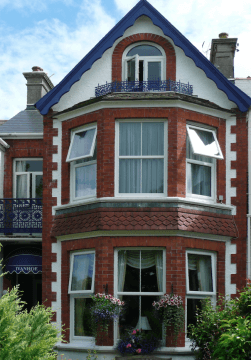 You’ll get a warm and friendly welcome at our Edwardian B&B which is in an ideal location close to the beaches, and within easy walking distance of the town centre. 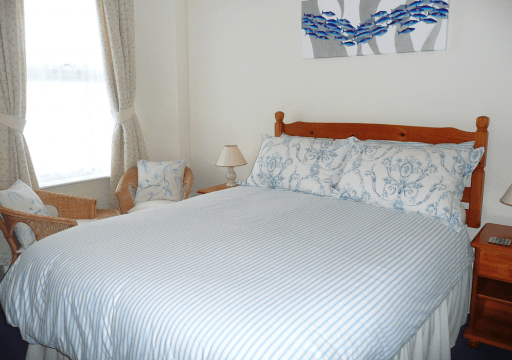 Our 5 bedrooms include two double, one family and one twin room which are all en-suite. The twin room is on the ground floor and we also have a single room with an adjacent private bathroom. Our rooms are furnished to a high standard and include mini-fridges, bathrobes and complimentary tea, coffee, hot chocolate and biscuits. We offer a varied breakfast menu with vegetarian, vegan, gluten-free and dairy-free options, and a range of our homemade jam and marmalade which is included in the price of your room.